PC: 2 GB RAM; 2 GHz CPU. : 10.6 or higher, Intel only. Works in Standalone, AAX (pro Tools 11), VST 2.4 (32-bit and 64-bit), Audio Unit (32-bit and 64-bit) and RTAS formats. internet connection required to authorize the product. A user-friendly and unified browser that can now be controlled from the Hardware. This browser allows to quickly preview projects, kits, instruments. A new Global Automation Tool that will easily allow you to apply a global increment/decrement to the automation. 30 different kits coverning progressive house, tech house, minimal, techno, dubstep and more. 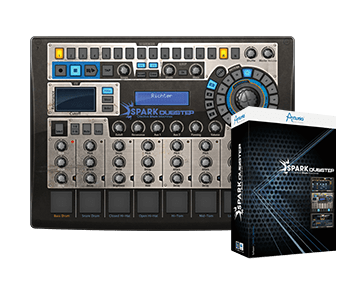 480 instruments that make use of the Sample playback, Virtual analog and Physical modeling engines. 960 pre-programmed patterns, that you can customize or build from to meet your needs. Made for live performance: FX Pad, Looper, Slicer and Real-time automation on all parameters. 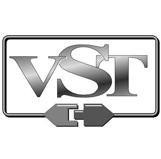 14 high quality effects: Multiband Compressor, Reverb, Sub generator, Destroyer, Bit crusher, Multiband EQ, Chorus, Delay, Distortion, Phaser, Plate reverb, Flanger, Space pan, Limiter. Spark’s Step Sequencer makes track creation a breeze. 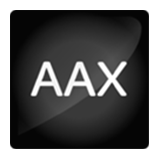 Perfect integration: Standalone operation or run as a AAX (pro Tools 11), VST 2.4 (32-bit and 64-bit), Audio Unit (32-bit and 64-bit) or RTAS plug-in. 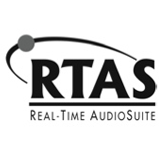 Unparalleled sound quality based on virtual analog synthesis (TAE®) and high-resolution sampling. Playable from any MIDI keyboard or drum pad controller.